Great Rates on Tennessee Truck Insurance 7 Days per Week! Shopping for any type of truck insurance in Tennessee could not be any easier when you work with the specialist at Pathway Insurance. Call 800-998-0662 to speak with licensed agents Monday through Friday. Or use our online quote system that is available seven days per week for quotes, and policies! A licensed agent will email or call you back typically in 2 hours or less up to 8 PM seven days per week when you click commercial truck insurance Tennessee. We offer trucking insurance in Tennessee, Georgia, Florida, Kentucky, Indiana, Ohio, and Michigan directly by calling 1-800-998-0662. Additionally we have an agent network established in the remaining states to offer commercial trucking insurance in all 50 states. What Are the Different Types of Tennessee Trucking Insurance Policies Available? 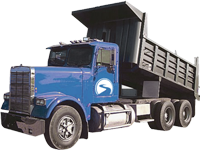 Pathway Insurance offers commercial truck insurance programs for all types of companies no matter if you are a contractor in need of insuring a single work vehicle or you insure a fleet of commercial vehicles and trucks. Naturally there are different options, features, and endorsements that may be necessary with one company but not needed with another. A licensed agent will discuss coverage suitable for your individual business. Call 1-800-998-0662 or use our convenient online rate quote submit system that is cared for by licensed agents seven days per week when you click on Tennessee truck insurance. Safety First Keeps Tennessee Truck Insurance Premiums Low! In the year 2012 over 104,000 people were injured in crashes involving large trucks with a gross vehicle weight of more than 10,000 pounds involving 333,000 large truck accidents. It’s important for companies to invest in driver’s safety standards and have zero tolerance with distracted driving in particular texting and driving. Sending or reading text messages by truck drivers makes a crash 23 times more likely and with deadly results to those affected by large truck crashes. Such types of claims additionally will make it more difficult to secure low rates on Tennessee trucking insurance. Some companies automatically terminate drivers after the first offense of distracted driving for good cause. Legal judgements beyond available insurance coverage limits can cause the closure of companies in business for years due to only one accident. 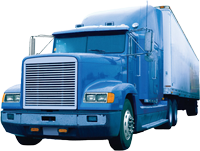 Tennessee Truck Insurance Available 7 Days per Week! Online licensed agents are available 7 days per week for quotes and certificates for existing customers. 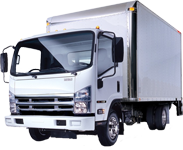 Click commercial truck quotes Tennessee if you are not yet insured with our company to obtain quotes for your company or call 800-998-0662 during normal business hours Monday-Friday.